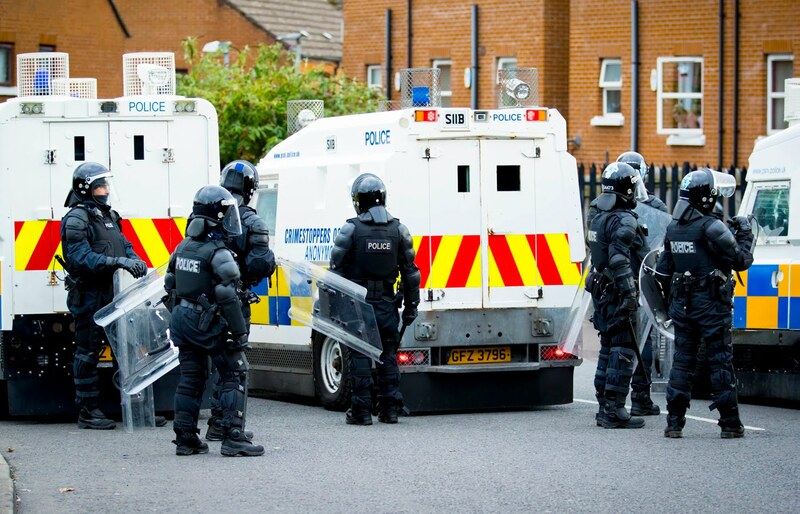 A man accused of involvement in public disorder in the Markets area of Belfast has had all charges against him withdrawn. Gerard McEvoy appeared before the city’s Magistrates Court on Thursday after being arrested by detectives investigating last week’s trouble. Disorder broke out on August 7 when council workers removed material gathered for a bonfire. Mr McEvoy had been charged with riotous assembly, throwing a petrol bomb and aggravated taking and driving away. But as a court clerk put the allegations to him a Public Prosecution Service (PPS) lawyer intervened. He revealed that all charges against Mr McEvoy were being withdrawn. A report will instead be prepared for the PPS to consider whether to revive the case by way of summons. During the brief hearing Michael Madden also indicated he would have challenged the strength of evidence against his client. Instead, however, Mr McEvoy was released from the dock with no current charges against him.